Outside Cafe Rueckholz, Monday night. Week two of my tour of Europe starts today. I’m head to Groningen here in the Netherlands to play a SOLD OUT show tomorrow night! Then Saturday I start winding my way down south via Germany to… Switzerland! 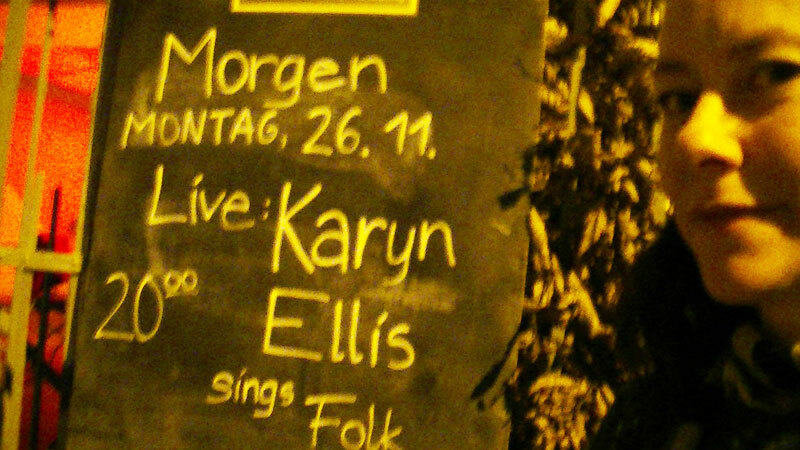 Tonight I played my second show in Berlin, a super sweet and intimate show at Oslo Kaffebar. That’s right folks, I’m in Germany! One weekend into the start of my thirteen-date tour of Europe. Click here to see the complete itinerary and find a city near you. A little over a week away till I head across the great pond! See you in one of the following cities/countries really soon! 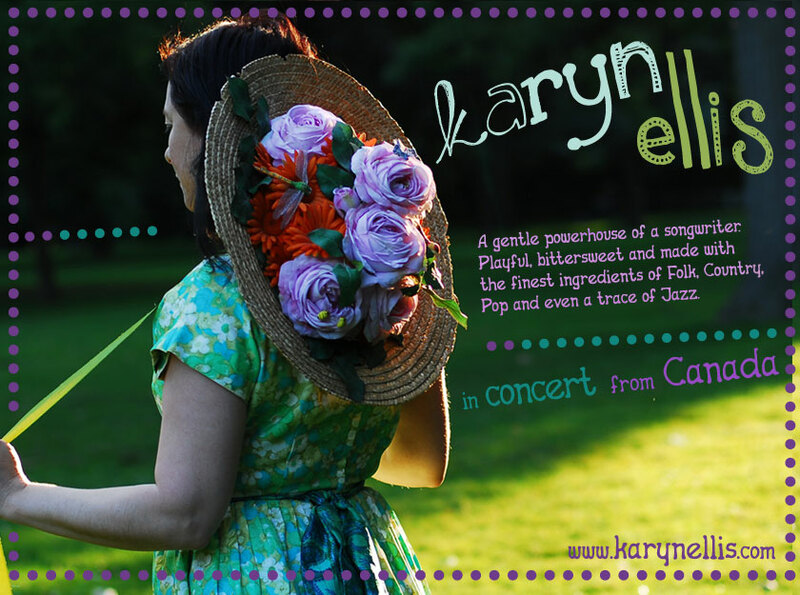 Check back to see if Karyn has found an alternative venue for her final night in Europe! …we’re over three-quarters of the way to our JUMP IN – BE A BACKER goal! $7,540! HUGE thanks to the over five-dozen people who have pledged the new album so far.